The Duffy Hall was first established in 1987, after Pastor Fr. Jude Duffy was given the needed permission from the Diocese of St. Petersburg to build a Parish center on the Most Holy Redeemer Church grounds. Upon its completion, the hall immediately became a popular event venue in the parish and community. In 2009, Pastor John Aurelia began a program to renovate the Church during his tenure. 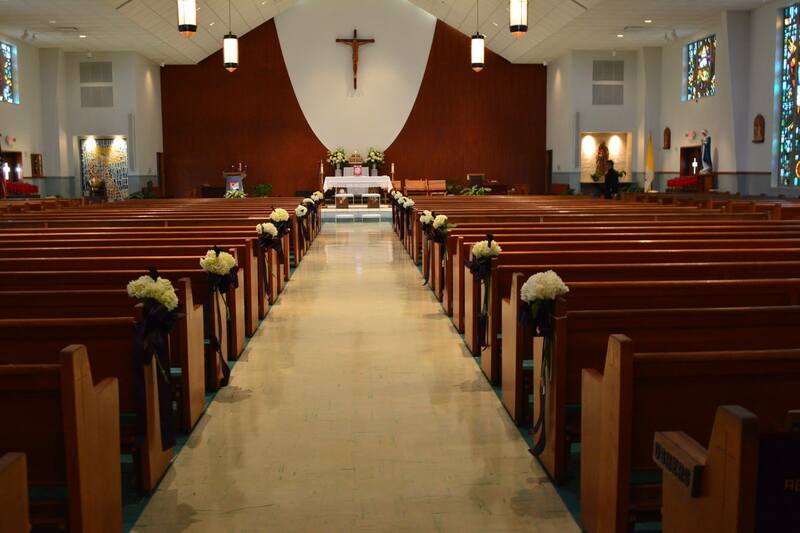 Through this renovation, Most Holy Redeemer was given a stylish makeover, creating a modern atmosphere with the amenities of the twenty-first century. Newly installed Pastor Allan Tupa continued with the modernization plan of his predecessor. In 2015, the newly renovated Duffy Hall was debuted to the Most Holy Redeemer Parish. The beautiful, contemporary venue was enthusiastically received. The Duffy Hall has been outfitted with the best and most modern amenities available. The entire building is equipped with fast and secure wireless internet, making the use of devices enjoyable and always available. All meeting rooms are equipped with beautiful high definition flat screen TVs, allowing both private and corporate events to share information effortlessly. Sleek and elegant restrooms with beautiful vanities are also one of the highlights of this building for the comfort of your guests.